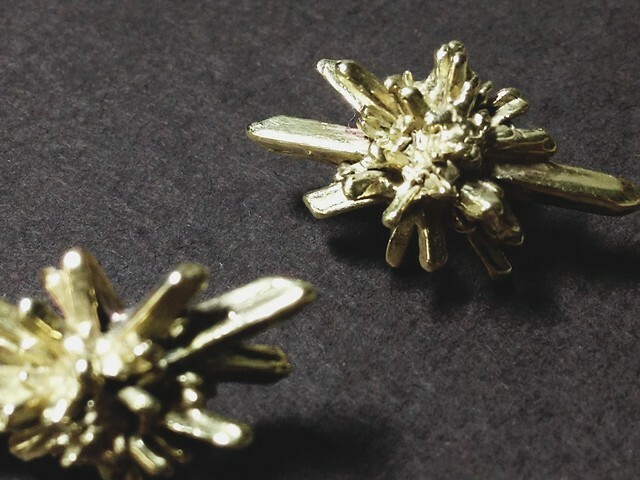 These are little bronze stud earrings, but I love the way they look so symmetrical and spectacular up close. Delicate and rough all at once. 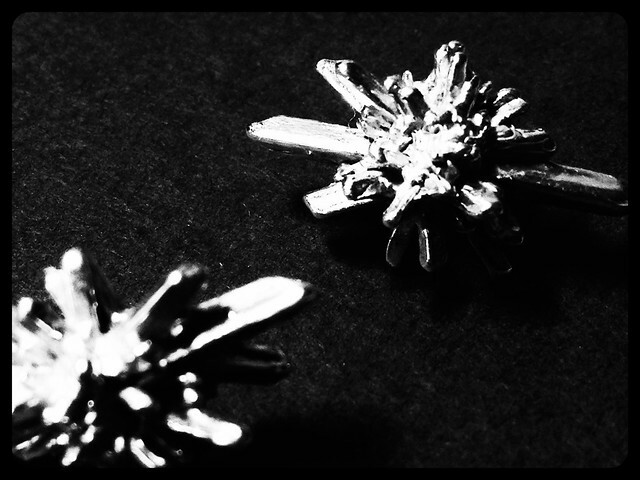 These are straight from the designer, Andy Lifschutz, but there’s a great behind-the-scenes story of how he made the rose-silver versions for Of A Kind, with a picture of the original crystal the pieces were cast from. Isn’t nature beautiful? Happy belated christmas, self. psst: if you like them, i’d suggest joining the mailing list and waiting for a sale — the designer seems to have quarterly 25% discounts!